← Come see us this coming weekend! Updated map showing 11 WS emergency communication hubs! As you may recall, at our May 7th drill we tested radio communications from a new West Seattle hub in north Delridge. We’ve now updated our map to show that new hub, as well as another new one in High Point. Both have yet to be officially launched; watch for details about that a little later in the summer. 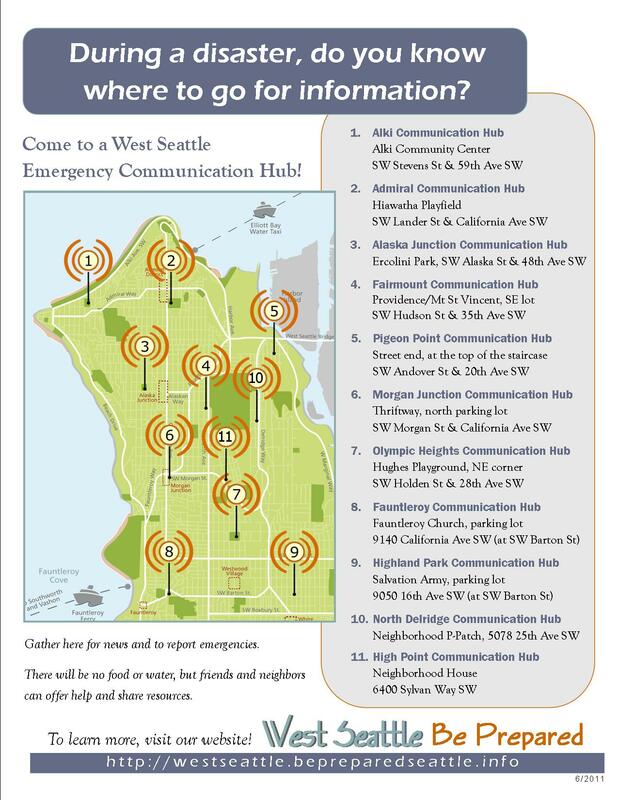 We now have 11 West Seattle emergency communication hubs! This entry was posted in Announcements and tagged emergency communication hub map, West Seattle Emergency Communication Hubs. Bookmark the permalink.